Interested in shortening your procedure time during ERCP? You can save time and money by using ChiRhoStim® to help facilitate cannulation. • ChiRhoStim® assists in cannulation and identification of the ampulla of Vater or minor papilla especially when patients have either pancreatic divisum or scar tissue. • You will see a visual stream of pancreatic fluid within one minute of injection. • Using ChiRhoStim® will shorten cannulation time by 32% and achieve successful cannulation in 67% of cases compared with 8% who did not receive Secretin. Save time and money during ERCP and cannulate faster with ChiRhoStim®. 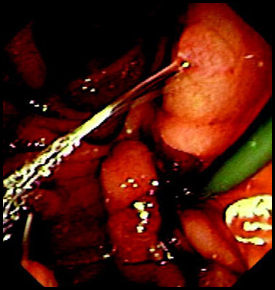 While performing an ERCP you could easily spend over $500 in disposables trying to cannulate. 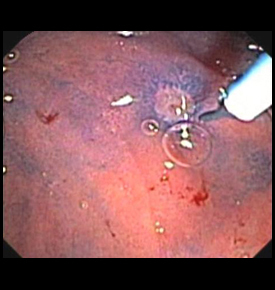 Administration of ChiRhoStim® may be given when difficulty is encountered by the endoscopist in identifying the ampulla of Vater for reasons including anatomic deformity secondary to prior surgery, radiation therapy, peptic ulcer disease, tumors, etc. or in identifying the accessory papilla in patients with pancreas divisum. A test dose of ChiRhoStim® 0.2 mcg (0.1 mL) is injected intravenously to test for possible allergic reactions. A dose of 0.2 mcg/kg of body weight intravenously over 1 minute will result in visible excretion of pancreatic fluid from the orifices of these papilla enabling their identification and facilitating cannulation. Pictures of Ampulla of Vater and Minor Papilla after Secretin Stimulation.